Avatar Ladyfest is a fic and art exchange celebrating the female characters of Avatar: The Last Airbender, The Legend of Korra, and related canonical works. Do you love Avatar ladies? Do you want to write stories and create art about them? Then you've sure come to the right place! This place. Here. Monday, October 15: Posting begins! And continues through Thursday, October 18. Friday, October 19: Artists and authors are revealed! 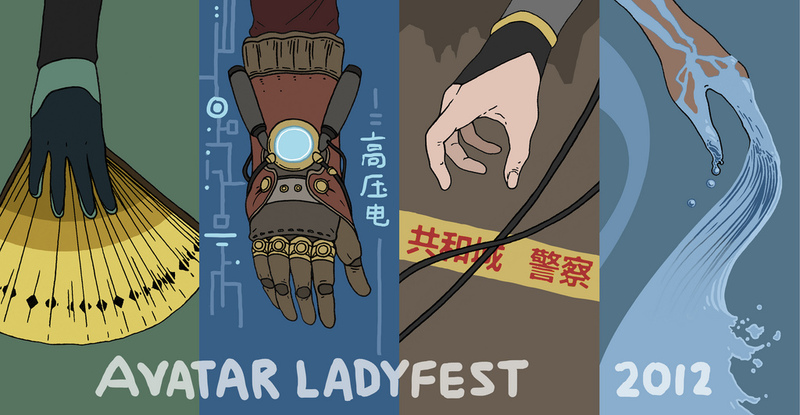 If you have questions, please send them to: avatar.ladyfest2012 [at] gmail.com!! Thanks to the ever-excellent ferricent for our banner. And be sure to visit our friends over at fma_ladyfest!